Monday Club is a collective of creatives who meet once a week as a company of actors, dancers, writers, directors and more to generate new ideas and to share skills from our various artistic backgrounds. We encourage collaboration and the development of new writing and performance, and support individuals in the exploration and achievement of their artistic goals. 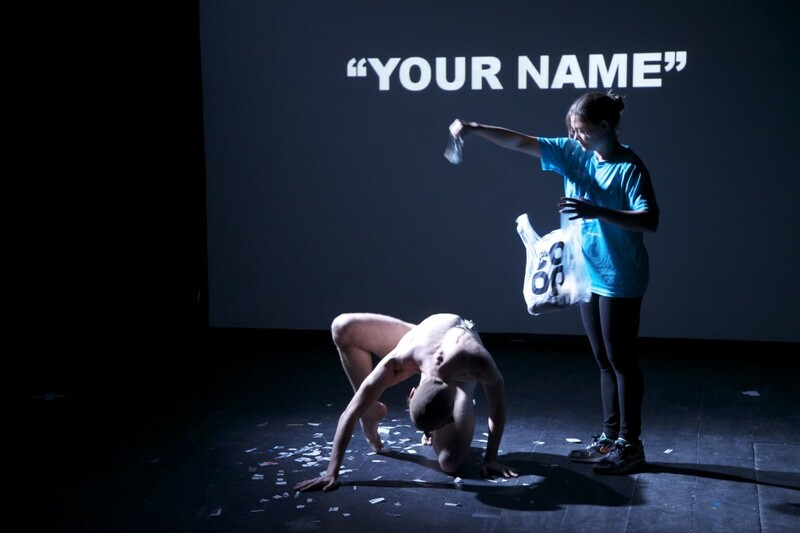 Take the Floor promotes new work within all forms of the arts and forges connections for collaboration between these varying mediums. At the event, they encourage creative support between participants and provide ‘no pressure’ networking opportunities. All of their pieces are handpicked from a variety of promising new artists with fresh and dynamic ideas. 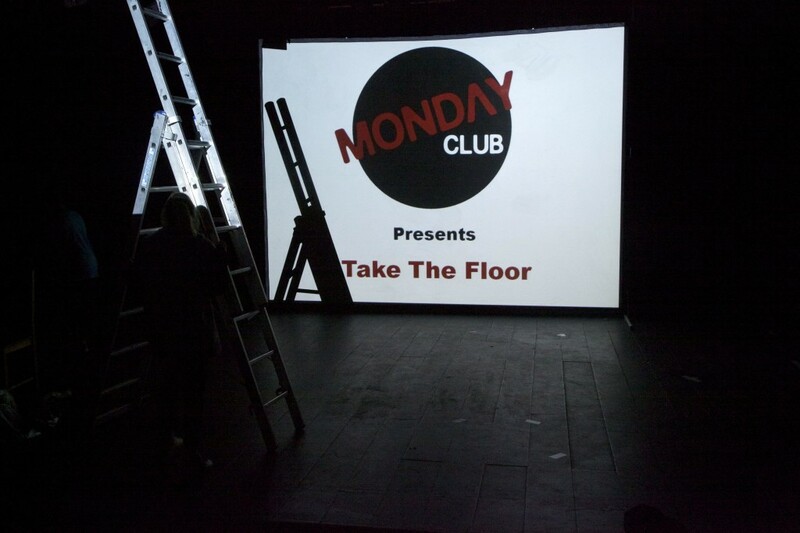 Monday Club bring their next brand new scratch night to Chelsea Theatre this January. Focusing on collaboration across the arts and audience feedback, this is the perfect Sunday evening pursuit to beat away those January blues. Kicking off the events at 6pm is an exhibition of visual art, where you can lose yourself in paintings, posters and sketches galore over an extremely reasonably-priced tipple. 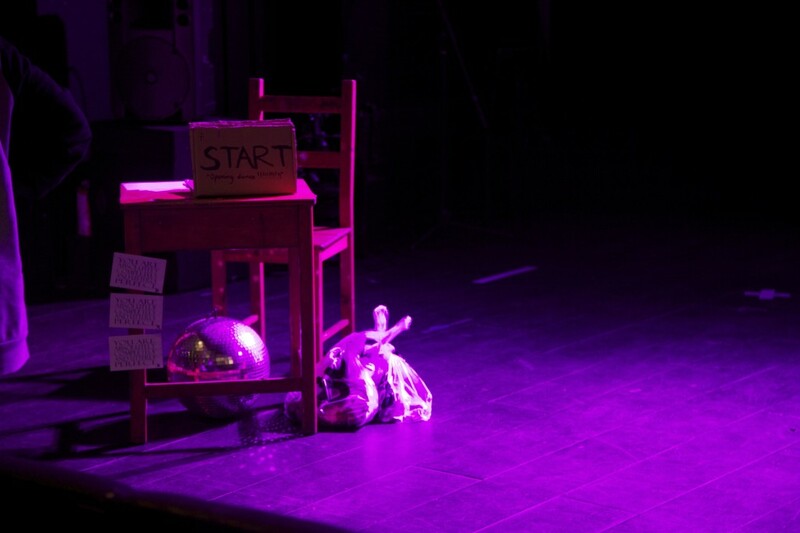 7pm sees the staged performances begin, with sizable ten-minute chunks of all sorts of artistic endeavours. 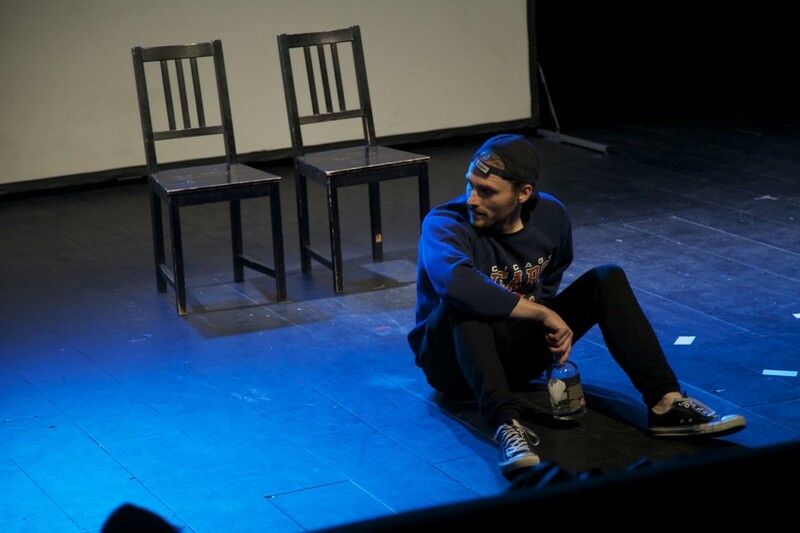 From dance and movement, to stand-up comedy and new writing, there will no doubt be something to tickle your fancy, and with audience feedback actively encouraged, you can really participate in the creativity. That’s not all however, as, not only do these guys utilise the impressive 110 seat theatre space, but during the interval and post-show, audiences will be treated to a live set from two separate music acts in the bar downstairs. A celebration of diversity and collaboration within the arts, Take the Floor is a stimulating evening of creativity for those interested in seeing short bursts of varied entertainment, and those who are looking for inspiration to create their own work. Visit www.mondayclub.co.uk to find out more. Tickets: £6 for one or £10 for two tickets for the whole night; £3 entry on the door for music only. Tickets on sale from mid-December. Monday Club is run by James Bailey, Charlotte Whitaker, Robyn Hoedemaker and Guy Remy. (Photos by Tom Metcalfe).